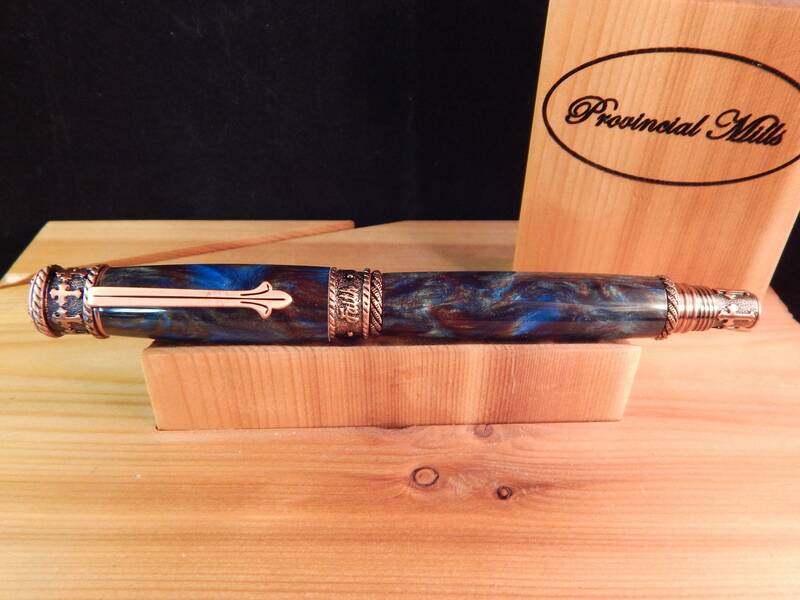 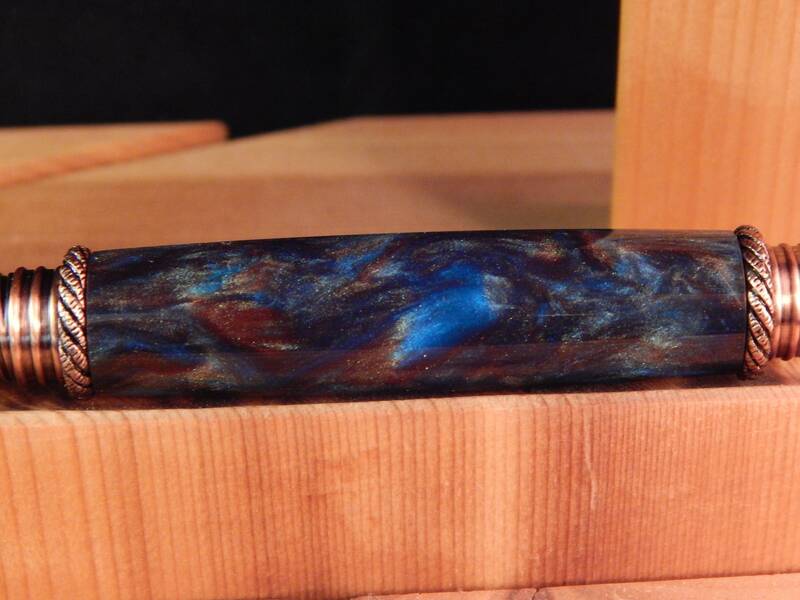 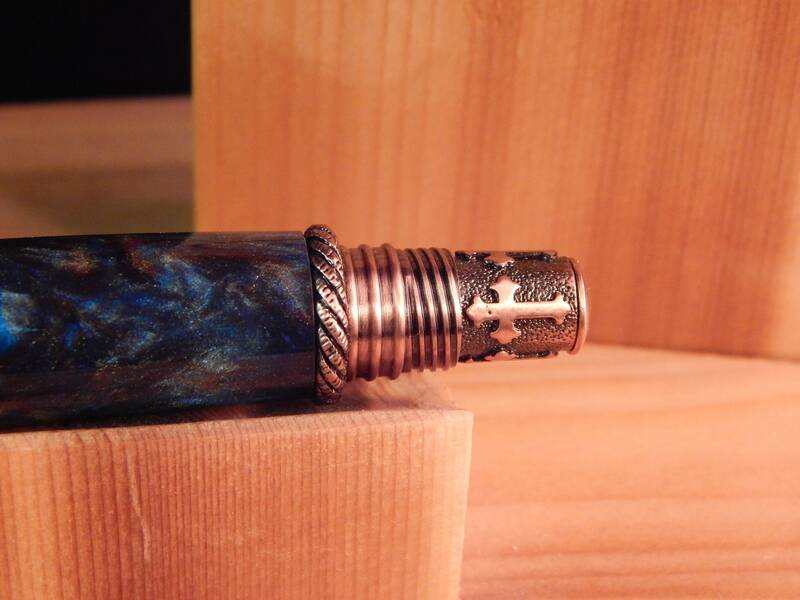 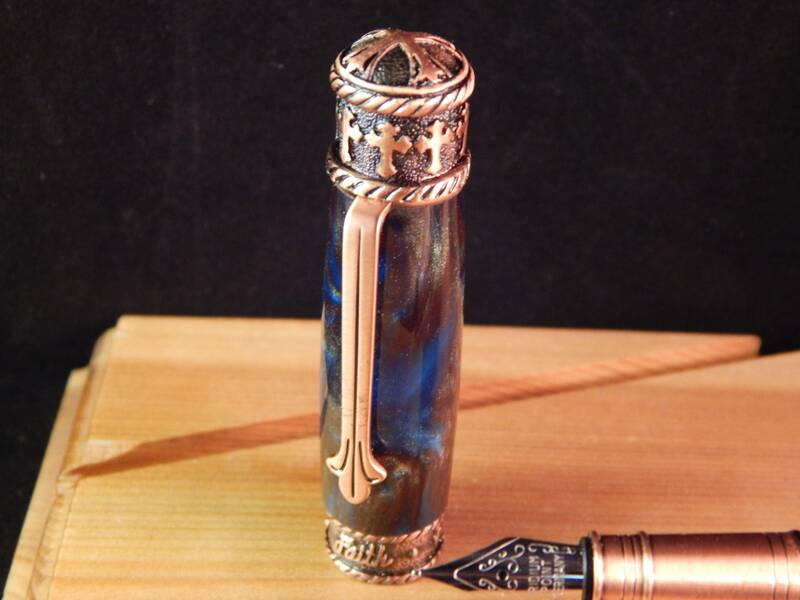 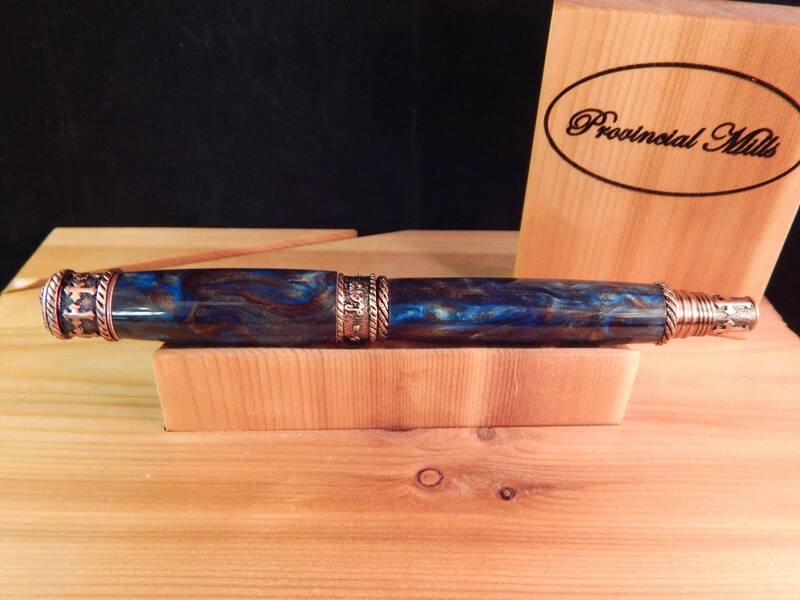 This Faith Hope Love fountain pen was crafted from sapphire sands acrylic. 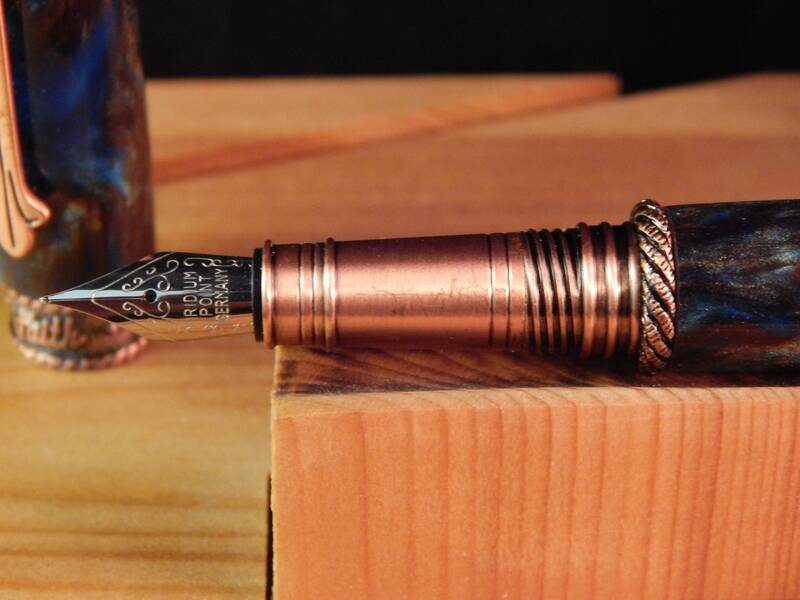 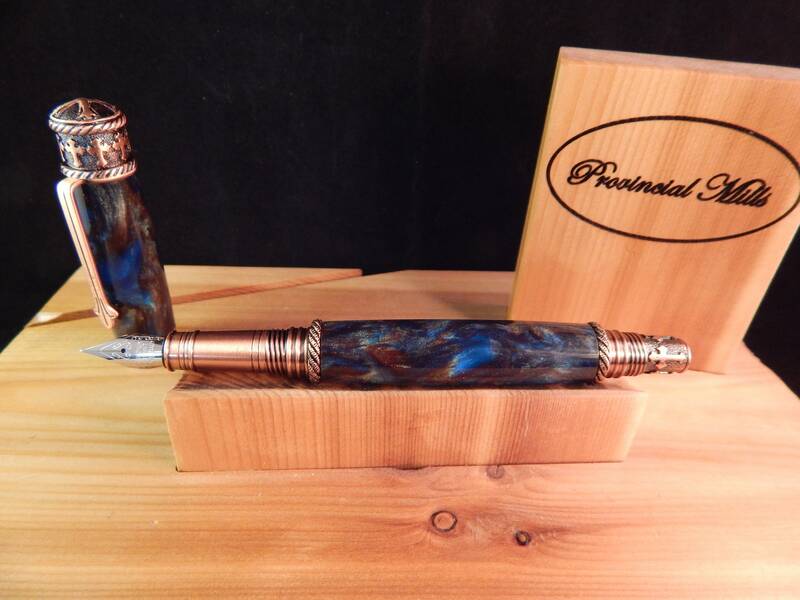 The pen was matched with antique brass fittings. 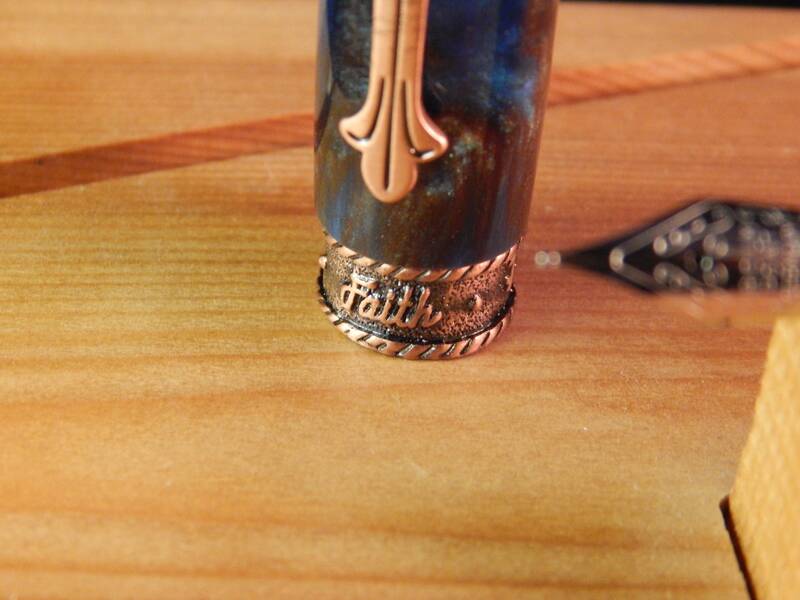 The words Faith, Hope, and Love are intricately cast into the center band, the pen top features attractive cross designs and the braided rope detail reinforces the concept of trinity, and the pen clip that references the Fleur-de-lis. 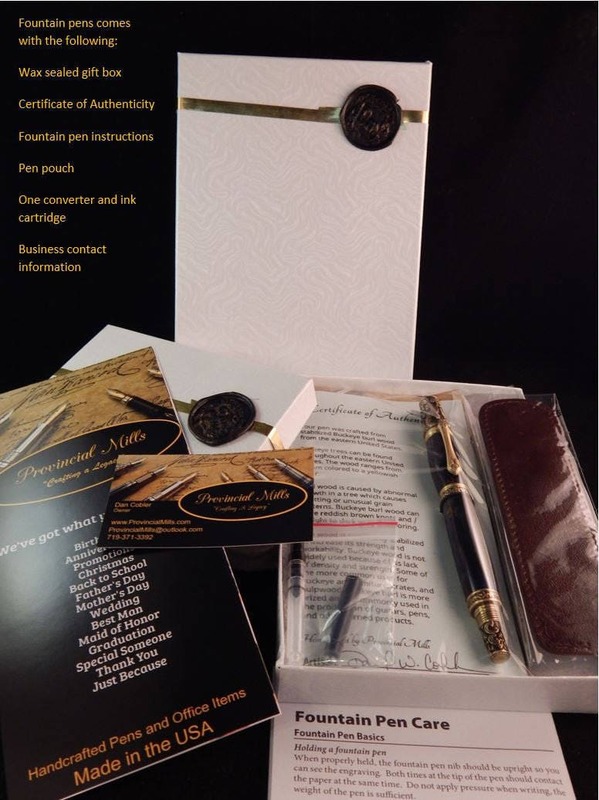 This pen comes with one ink refill, one ink pump / converter, and an iridium tipped nib.